Buying a car should be an exciting experience, not an event filled with complexities and dread. Make the short drive to our Nissan dealer Maryville TN and leave the car buying woes behind. We’ve built a great business by exceeding customers expectations. When you arrive at our dealership, one of our agents will warmly welcome you and begin learning about your needs. No two car buyers have the same needs and we provide the personalized experience that you deserve. We want our customers to find the perfect car and drive off the lot with confidence in their purchase. Don’t learn the hard way that all Nissan dealers are not created the same. Our Nissan dealer Maryville TN provides dedicated service that you might not find at every dealership, even those in small town USA. Our large inventory includes a model for every budget and driving need and we make it easy to get behind the wheel of the vehicle of your dreams. Customer satisfaction is our top priority and we never stop going the extra mile to ensure that our customers are happy with the service that we offer. Our team of devoted car sales agents place themselves in your shoes and strive to meet your needs. It is important to buy the right car. After all, this is a long-term, major investment that plays an important role in your life. Maryville is located nearby Knoxville. Although there are many Nissan dealers in the big city, visiting our Nissan dealer Maryville TN is worthwhile. You’ll enjoy our personalized, professional service, large inventory, and great pricing. We offer financing on-site, with lending options for all credit situations. Do not assume that your credit isn’t good enough to qualify you to buy a car until you’ve completed an application with us. When other Nissan dealerships Maryville TN say no, we say yes. 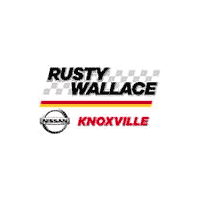 If you’re ready to buy a great new or pre-loved Nissan automobile, visit our Nissan dealership Maryville TN. We’re not the average Nissan dealer Maryville TN and we think that you’ll appreciate our differences. You can schedule a test drive and experience the phenomenal sensation that you enjoy when sitting behind the wheel of the Nissan you want to own. We’re ready to help you in every way that we possibly can, so call us if you have questions, want more information about a specific Nissan model, or want to schedule your test drive. We’d love to add your name to our list of satisfied customers. Explorer the 2019 Nissan Altima near Maryville Tennessee. Click the link below to explore the Altima and view options, colors, trim levels and Altima inventory. Explorer the 2019 Nissan Frontier near Maryville Tennessee. Click the link below to explore the Frontier and view options, colors, trim levels and Frontier inventory. Explorer the 2019 Nissan Maxima near Maryville Tennessee. Click the link below to explore the Maxima and view options, colors, trim levels and Maxima inventory. Explorer the 2019 Nissan Rogue near Maryville Tennessee. Click the link below to explore the Rogue and view options, colors, trim levels and Rogue inventory. Explorer the 2018 Nissan TITAN near Maryville Tennessee. Click the link below to explore the TITAN and view options, colors, trim levels and TITAN inventory.